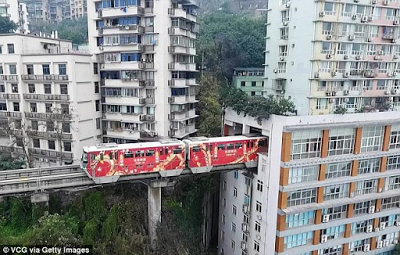 In a bid to solve the space crisis in the city of Chongqing, a light railway track has been built to go through a hole in a residential 19-storey building. 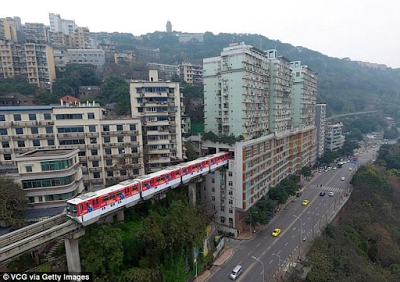 The city of Chongqing in the south-east of China has a population of 49 million packed into 31,000 square miles, causing Architects and planners to creatively solve the space issues by building the special train into the block of houses. 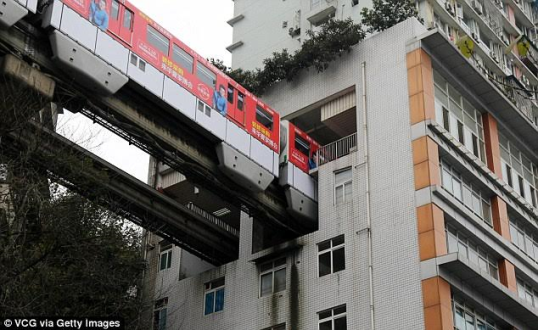 Residents can hop on the train at Liziba Station, located on the sixth to eighth floor of the building.